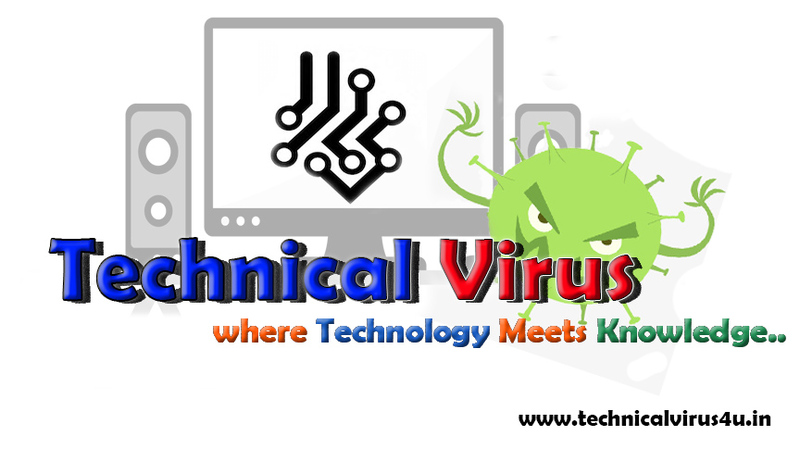 Hey there, this is Subham from Technical Virus website. In today's article, we are going to discuss the Top 10 Tools that every Blogger needs. I have used all of them and even I am using most of them right now. Blogging is an art and using the right tools for Blogging is the main Key to the success. Open Live Writer: this is a useful app for blog writing without opening the Browser! 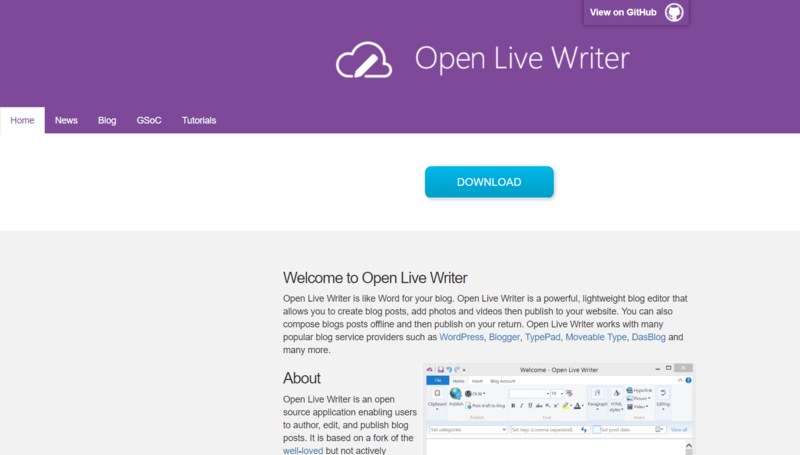 and you can publish directly from your Desktop. Just link it with your blog and start writing right from your desktop. Blogo: This is an app for Mac users, and it is not supported on Windows. It has the support of Blogger and Wordpress also, means you can link your Wordpress with this app. Quora: Sometimes you have no knowledge about what you are going to write. For that, you have this thing. Just go to Quora and search for that specific keyword that you going to write. You will definitely find something related to your topic. Blog Topic Generator: Go to this link and paste your keyword and it will give you ideas about your post. 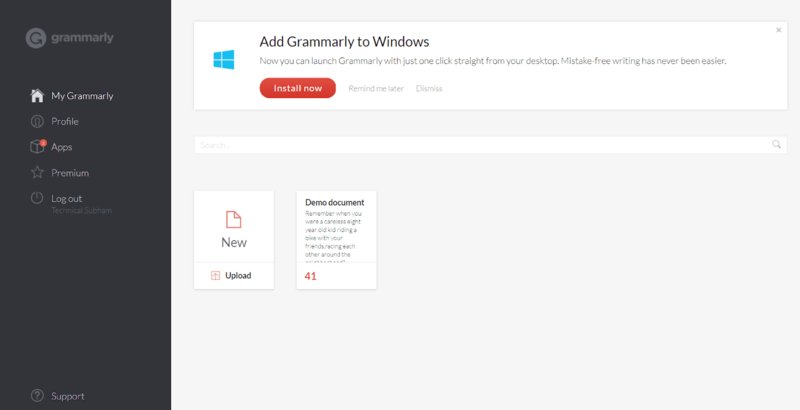 Grammarly: This is a great app for correcting the spellings and grammars that you have mistaken. It also comes with an extension for Chrome Browser. You can go there by clicking this Link. 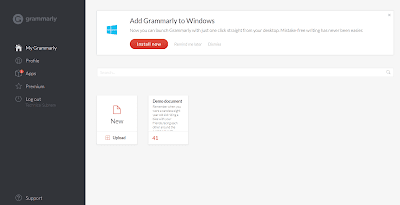 Hemingway app: This is a great tool that helps people to find errors in their articles. Pexels: Pexels is a great website for finding Royalty free Stock images. Sometimes you may want pictures for the post and if you use pictures directly from Google then you will get Copyright notice to your Blog, for that always use Stock images. Pixabay: It is also a great place for Stock images. Audacity: It is the best tool for recording Sounds from the desktop or from the microphone. And if you do Youtube then this is the best software. MPEG Streamclip: A powerful Video converter for Windows and Mac. You can cut, trim, split, join the videos right from this app. Click here to download. Google Analytics: I made a post about SEO where I wrote about this. Google Analytics is the best solution to view your Blog stats, engaging with the Visitors, top keywords suggesting, real-time blog visitors counting. Jetpack Plugin: If you are a Wordpress user, this plugin is for you. This plugin offers a module named "WordPress.com stats" that provides the stats of your blog and how the Visitors engaging to your Website. Google Keyword Planner: A free and easy tool to find Keywords. A good Keyword Research Tool. SEMRUSH: A very good but paid tool to find hot Keywords for ranking a post or a Website. It finds the best Long-Tail Keywords to rank. Thus with Long-Tail Keyword, it is easy to rank. Google Webmaster Tools: I made a post about this. This is the best tool that every Blogger should use. It provides various types of data related to your Website like links to your website, duplicate contents. Integrity: Desktop Tool for Mac that finds Broken links to your Website. Screaming Frog: It is a Tool which lets you check your blog from the web spider's point of view. Available for Windows, Mac, Ubuntu. Google Adsense: The best Contextual advertising network for Monetization. It is easy to manage and pays on time. PropellerAds: A good alternative to Google Adsense with a lower minimum payout. Amazon Affiliate: It is a good Affiliate Program for Affiliate Bloggers. Just Sign up and choose a product and get sharable links and promote them to your Blog. ClickBank: A very popular Affiliate Marketplace for any niche. Many different Affiliate Products to promote. The list will never be completed. Whenever a new thing will come to the Blogging, Engineers will make products or tools according to the need. Feel free to comment your favorite tools from the above list and if you want to contribute any tool then you are most welcome. Another thing, if you find these tools are helpful then share it with your Blogger friends.